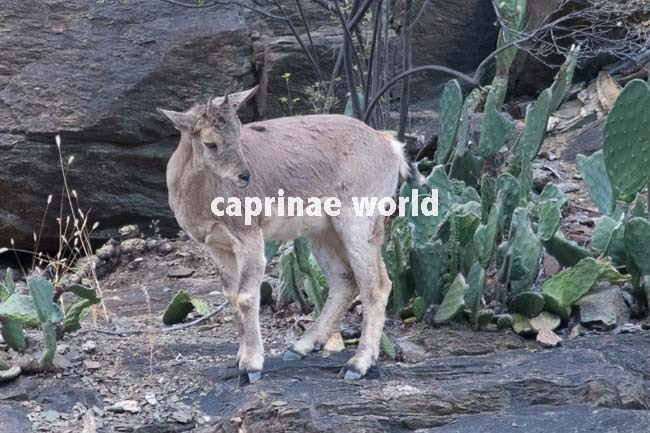 The Dwarf Bharal – also known as Dwarf Blue Sheep – is a goat-like caprid. 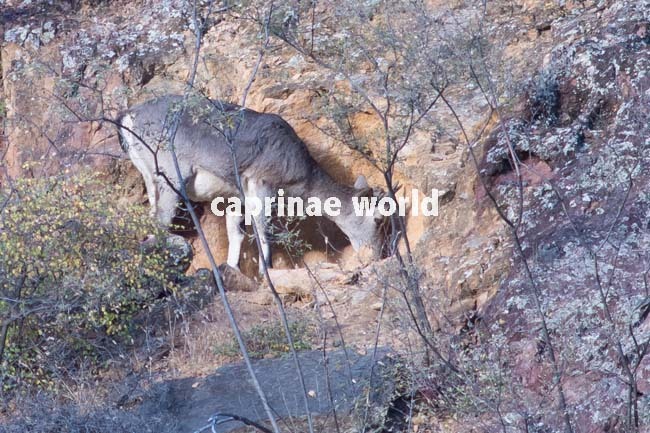 It is much smaller than the Greater Bharal, has differently formed horns and a less conspicuous pelage pattern. One subpopulation has developed a unique feeding behaviour. 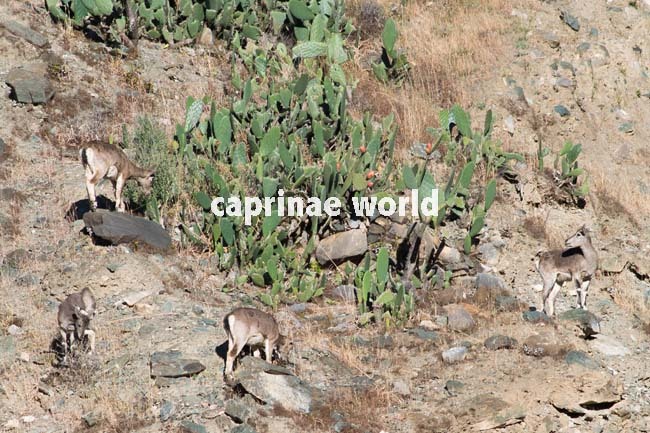 The taxonomic status of the Dwarf Bharal has been debated intensively. Various authors (Wang and Hoffman 1987, Wang et al. 2000, Liu et al. 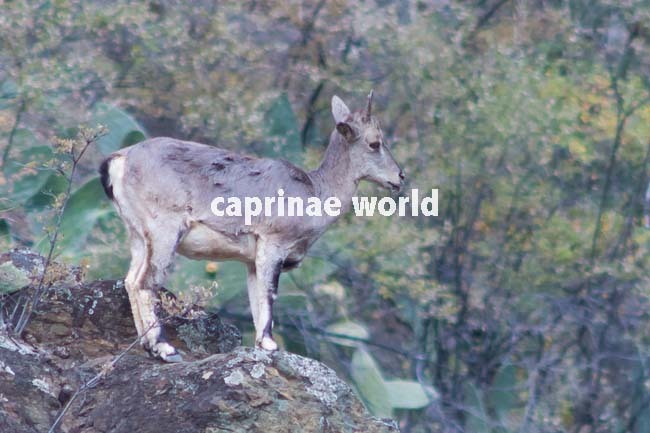 2007, Wang and Xie 2009, Groves and Grubb 2011) recognize it as a full species. Several others suggest on basis of molecular evidence to see it as a subspecies of Pseudois nayaur (Feng et al. 2001, Cao et al. 2003, Zhou et al. 2003, Zeng et al. 2008, Tan et al. 2012) . 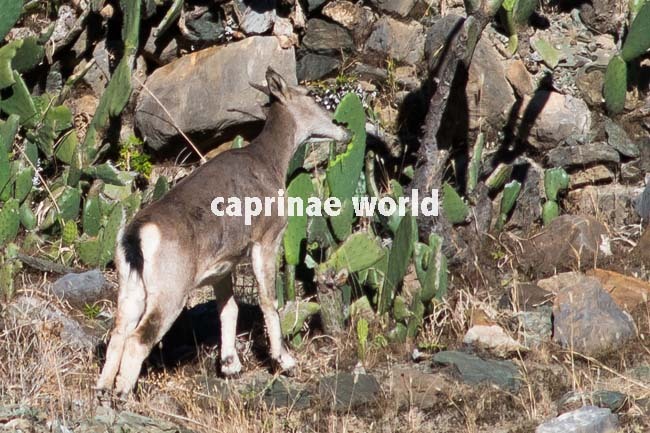 However because of striking morphological and biogeographical differences – much smaller size than Greater Bharal, differently formed horns, less conspicuous pelage pattern, separated distribution range – we here follow the IUCN Red List and consider the taxon Pseudois nayaur schaeferi. 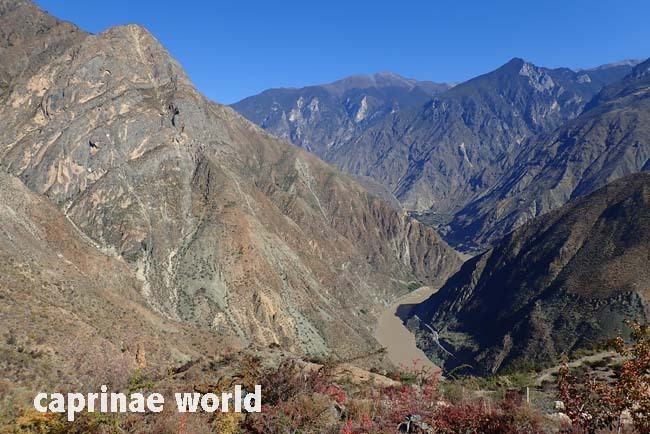 In 1934 the Dolan-Schäfer expedition (2nd Brook-Dolan Expedition, Academy of Natural Sciences, Philadelphia) discovered the Dwarf Bharal south of Batang, in the deep V-shaped gorge of the Jinsha River aka Jingsha Jiang River (upper reaches of Yangtze River) along a belt of dry, steep and rugged, rocky slopes between 2.600 and 3.500 metres. Ernst Schäfer collected 12 specimens of this unique animal (Schäfer 1937). 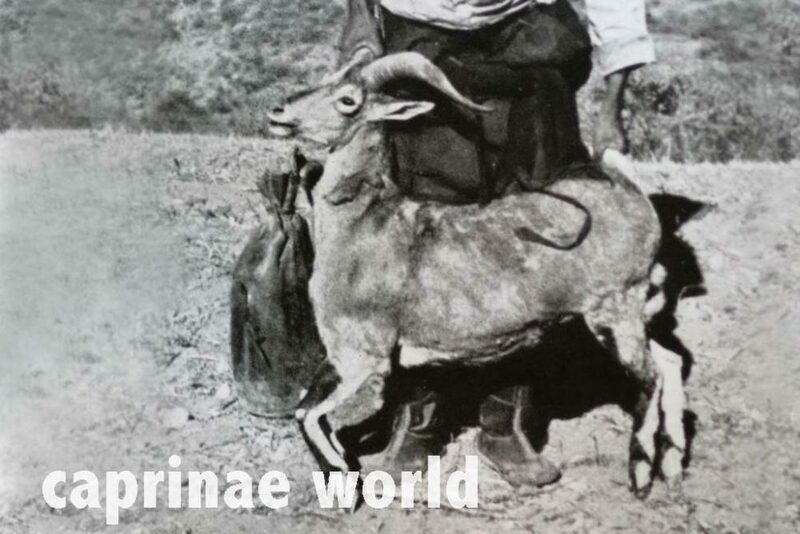 Damm and Franko (2014) write that the Dolan-Schäfer expedition failed to name the Dwarf Bharal, which does not meet the facts. 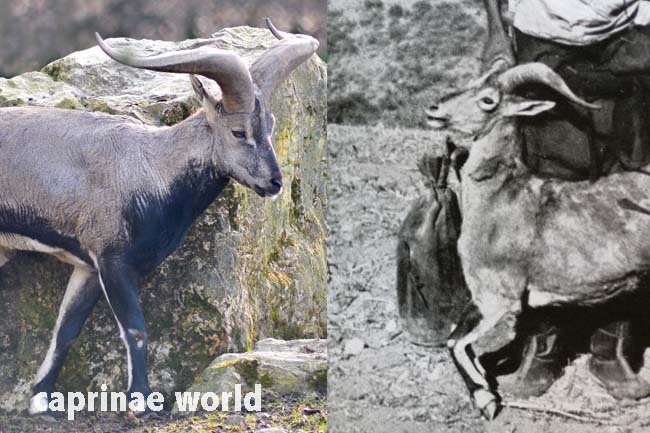 Horns of males: Initially the horns run up and out, then the tips turn towards the body axis, but pointing upward and outward. 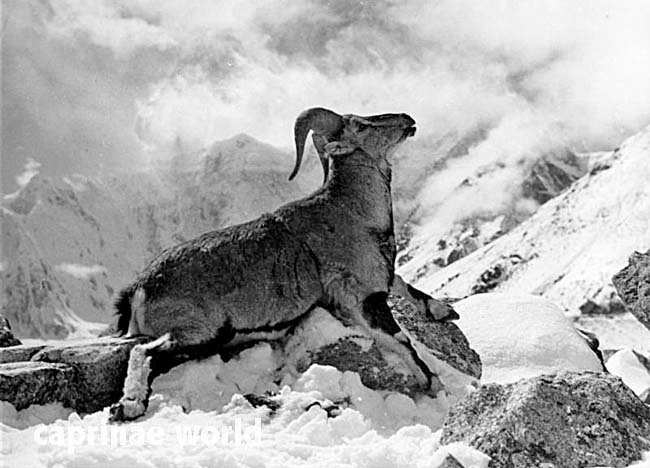 Dwarf Blue Sheep inhabit rugged valley terrain along the Yangtze River valley. 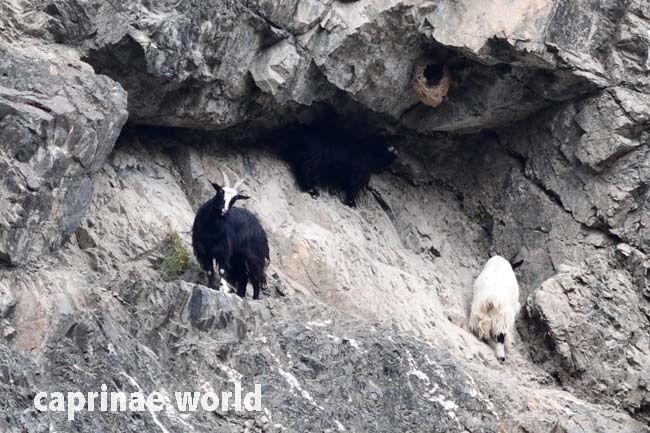 They live among very steep rocky slopes between 2.700-3.200 metres asl. 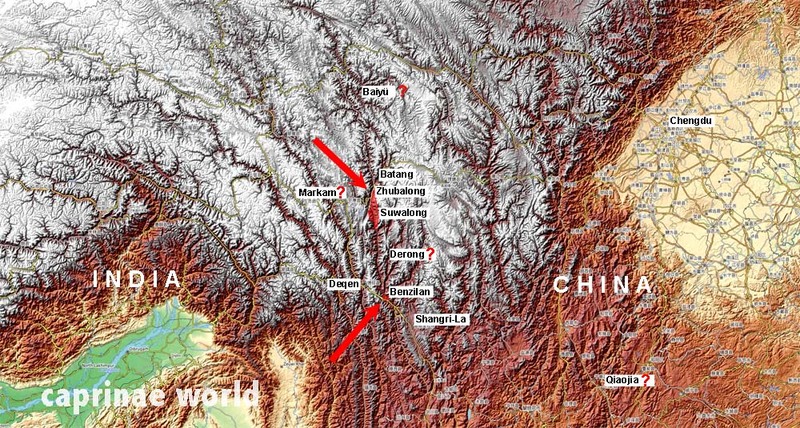 [6, 13], respectively 2.700-2.900 metres asl  and 2.050-3.300 metres asl at Rini Mountain . 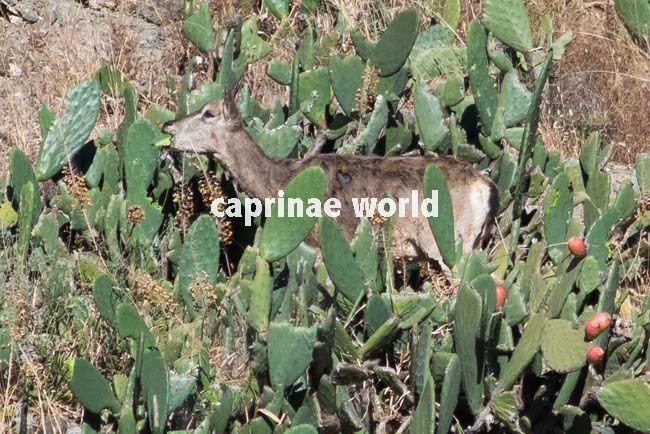 Generally, both species avoid the forest. 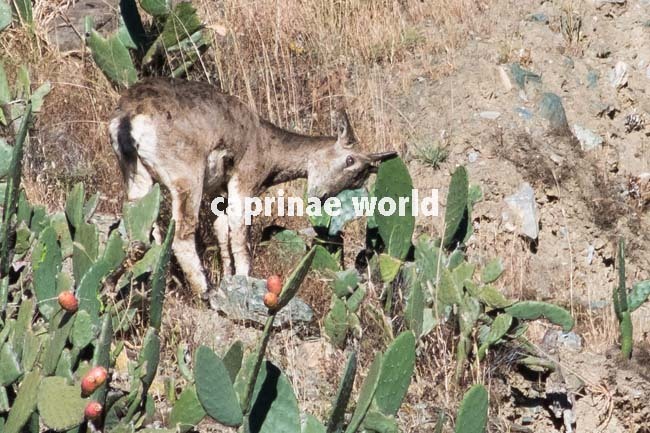 It is said that Dwarf Bharal only occasionally range into the lower fringes and clearings of the forest zone and Sichuan Bharal only enter the upper outer edges of the forest in winter. 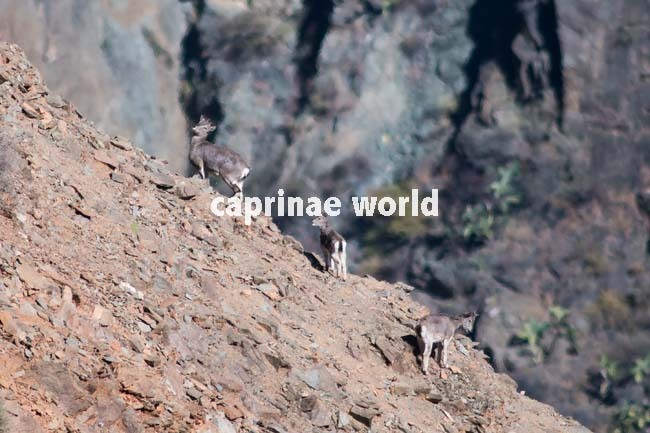 Therefore, ecological isolation and a likely lack of gene flow between these almost parapatric populations (ranges do not significantly overlap but are immediately adjacent to each other) was suggested by Feng et al. (2001). 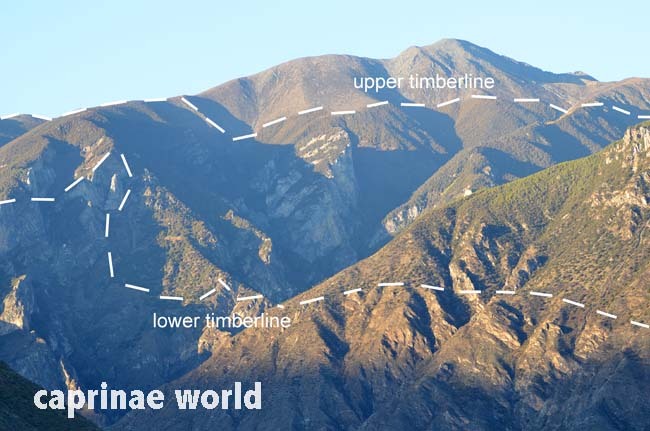 Habitat use: Dwarf Bharal use all five habitat types: cactus scrub, scree cactus scrub, scree scrub, cliff shrubland, and shrubland. 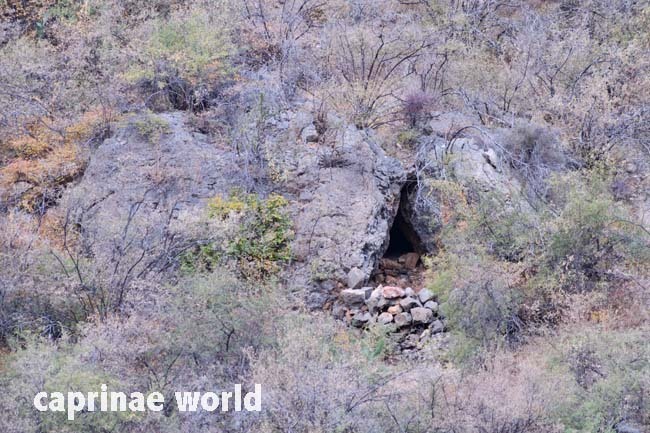 Although more than 60 per cent of the observed times is spent in cliff cactus scrub. 79 (55,6 %) were of undetermined gender. 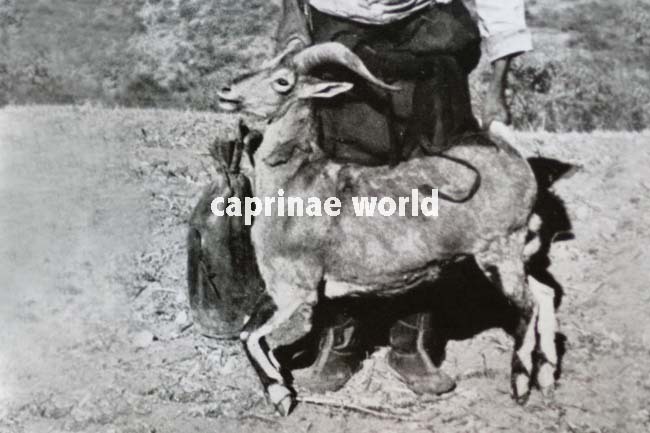 Populations seem to have declined sharply in the 1950s and 1960s, probably because of poaching, habitat loss and competition with livestock (Wang et al. 2000). The population in Batang County has undergone a decline estimated to be greater than 50 percent in 21 years . Some authors believe that if effective protection measures are not adopted quickly, the taxon will disappear in the near future. [6, 12]. However, Liu et al. 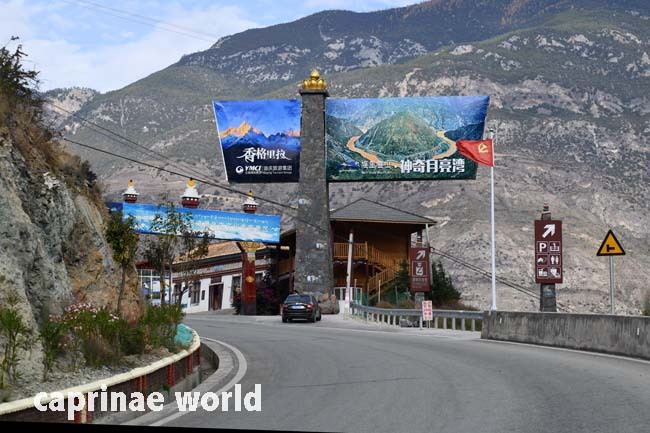 (2010), who studied group characteristics of Dwarf Bharal in Zhubalong Nature Reserve, Sichuan Province, (winter of 2007 and 2008, and spring 2009) observed a total of 73 groups including 451 individuals in the spring period, and 170 groups including 1.036 individuals in winter. 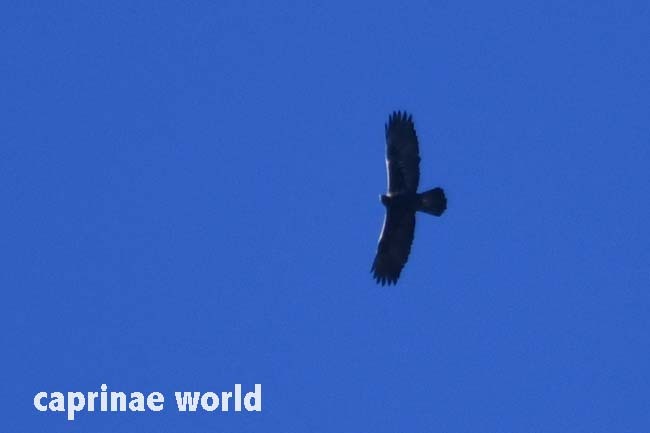 Among the individuals observed, there were 607 adults (236 males, 271 females), 143 subadults and 286 kids in winter; and 274 adults including 115 males and 159 females, 49 subadults and 128 kids in spring. 1) Continue to examine its taxonomic status. 2) If future research alters our current understanding and shows it to be more appropriately considered a full species, it should be raised to a Class I species in the national protection list. 3) Surveys are essential to determine status and total distribution throughout its suspected range. 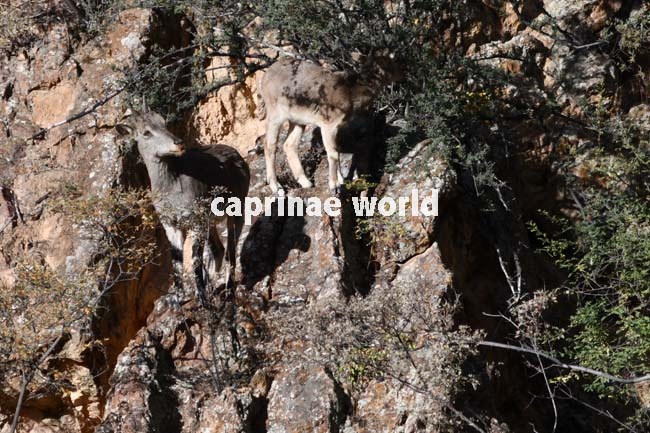 Not a factor at the moment, although at Rini Mountain near the town of Benzilan tourist facilities are already in place: At the upper edge of the Dwarf Bharal habitat is a lookout. 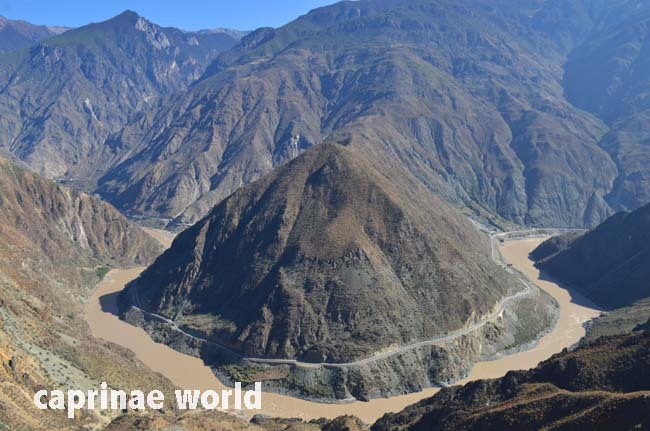 Thousands of tourists stop here annually to see the bend of the Jinsha River – without knowing that the slope below is home of a chinese endemite, a species with one of the most restricted ranges. Huffman, B. & Harris, R. 2014. Pseudois nayaur ssp. schaeferi. The IUCN Red List of Threatened Species 2014: e.T18535A64313668. http://dx.doi.org/10.2305/IUCN.UK.2014-3.RLTS.T18535A64313668.en. Downloaded on 03 December 2018. 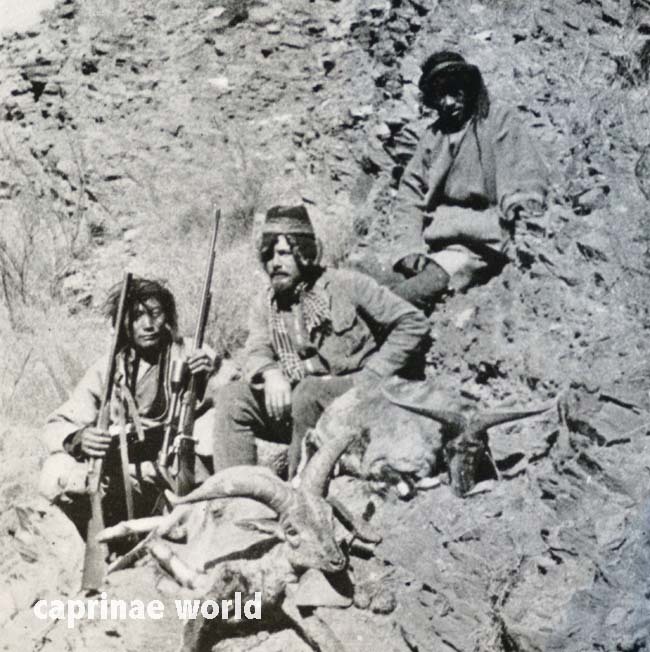 Schäfer, Ernst, 1937: Unbekanntes Tibet – Durch die Wildnisse Osttibets. Paul Parey, Berlin. 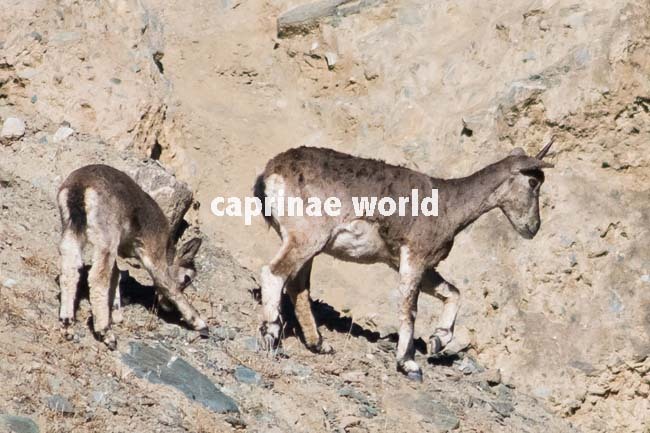 Tan, S.; Zou, D.; Tang, L.; Wang, G; Peng, Q.; Zeng, B; Zhang, C.; Zou, F., 2012: Molecular evidence for the subspecific differentiation of blue sheep (Pseudois nayaur) and polyphyletic origin of dwarf blue sheep (Pseudois schaeferi). Genetica. 2012 Jun; 140 (4-6):159-67. Epub 2012 Jul 21.